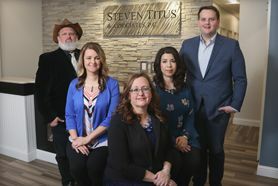 Steven Titus & Associates, P.C. are proud to offer our clients the convenience of secure online bill pay. We are able to accept all major credit cards for outstanding fees. If you have any questions, please don’t hesitate to call our office at 307.257.7800 for clarification prior to making your payment.